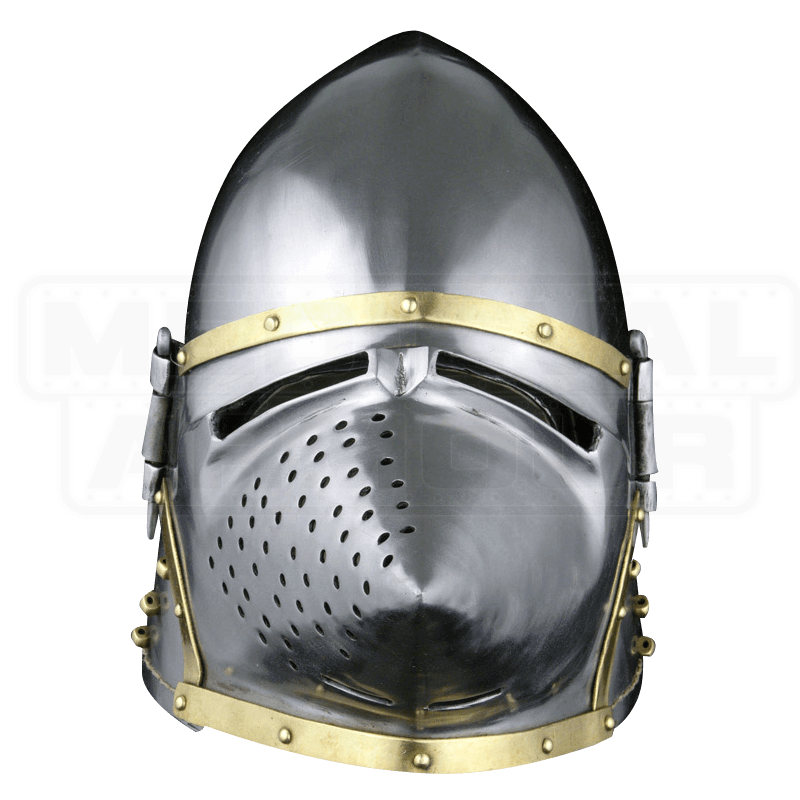 The Bascinet is the most common form of helmet used in the middle ages. 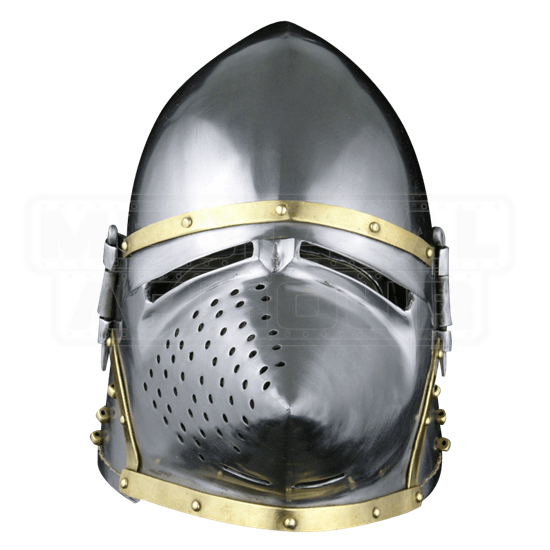 Originally developed to be worn under the great helm or barrel helm, the bascinet eventually evolved to include a retractable visor. The original purpose was to protect the warrior during hand-to-hand combat, but allowing him to discard his heavy, hot, suffocating great helm. Our version replicates a later evolution, probably from the early 13th century. The additional visor made the helmet more versatile, for both lance and hand to hand combat.